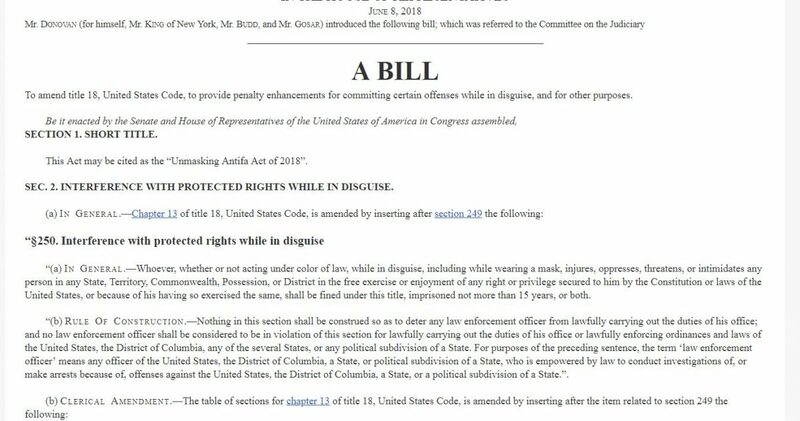 The bill’s name makes reference to Antifa, the far-left extremist group that frequently advocates using violence and sparks riots to block conservative speakers and events. 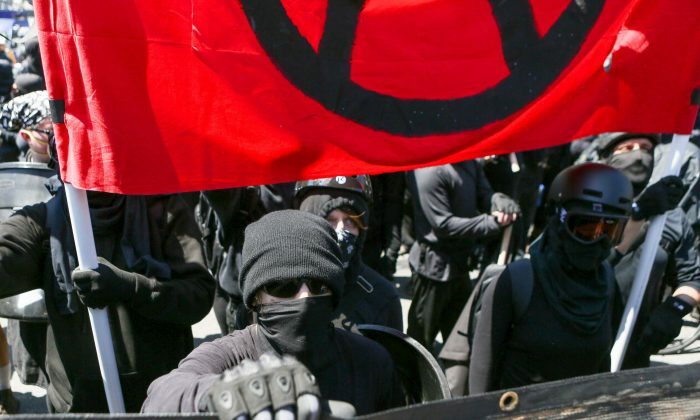 Antifa often use black masks and are clad in all black. Earlier this month, Portland Police declared a riot after Antifa and right-wing groups clashed, injuring four people. The Portland Police Department said that one police officer was injured with non-serious injuries. The Southern Poverty Law Center in a 1999 article noted that some states have “anti-masking” laws that make it a crime to wear a mask in public. Most of those laws were passed between the 1920s and the 1950s due to violence from the Ku Klux Klan. “Public officials argued that the laws were needed to protect the public from Klan intimidation and violence and that banning masks would aid law enforcement in identifying criminals,” the SPLC said.